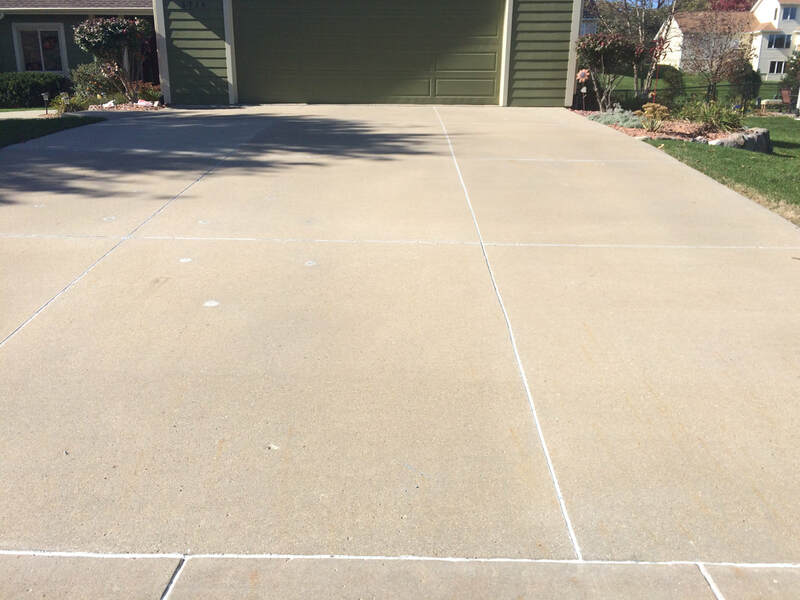 Unsealed cracks or saw cuts in concrete pavement may decrease the longevity of your driveway or concrete surface. Left unsealed cracks quickly fill with water and dirt. During warm weather unsightly weeds and grass take root making the surface hard to clean and inviting water in. In cold weather the freeze-thaw cycle exacerbates the problem as the pressure may push the crack further apart, leaving an edge for shovels and snow blades to erode further. Professionally sealing cracks in concrete pavement may increase the longevity of your concrete surface and help protect your investment through the years. Our process ensures the products we apply fill the space and bond tightly to the crack walls for a weather tight seal.